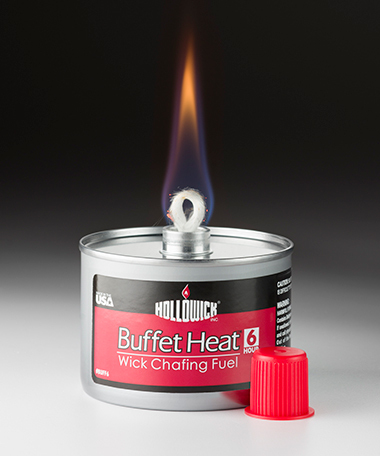 Hollowick is the market leader in providing the best performing liquid chafing fuels in the marketplace. 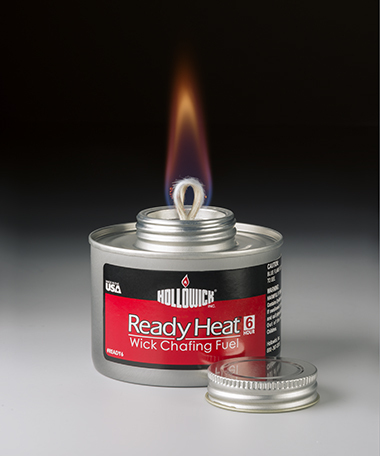 Our portfolio features the hottest, most consistent and most reliable liquid chafing fuels available today. All our liquid chafing fuels are produced using non-flammable, biodegradable DEG (Diethylene Glycol), which is in the same non-flammable category as vegetable oil. Produced in a sealed container, spillage concerns are virtually eliminated. Our entire line of liquid chafing fuels is non-hazardous by D.O.T. regulations. There are no worries about shipping restrictions, storage limitations or insurance. All our liquid chafing fuel products are made in the U.S.A.